Week 18 is around that time where you’ll have to switch things around a bit, such as sleeping on your side instead of your back. Reason being that your uterus at this stage is probably big enough to press against the large veins in the back of your abdomen. This consequently can reduce the amount of blood directed towards your heart, and as a result lower your blood pressure or make you feel lightheaded. Your veins in week 18 of pregnancy are not the only things susceptible to pressure, but you are too given that there’s a lot going on with you and your baby. Starting week 18, you’re going to be super busy with preparing for your baby’s arrival, and also dealing with what may be not-so-fun symptoms such as leg cramps, back aches, nosebleeds and swollen feet or hands. Apart from the discomfort you can feel from the aforementioned issues, here are a few more symptoms you may experience when you’re 18 weeks pregnant. These are mostly caused by the baby putting too much pressure on your insides. This would be a good time to get that massage from your partner that’s long overdue! This can be an annoying pregnancy symptom, but you have nothing to worry about as long as it is not severe. If it is, get in touch with your OB for the best remedy. Cramps and muscle aches are mostly caused due to dehydration so drink lots of fluids to stay hydrated. As mentioned earlier, your mind and body starting week 18 of pregnancy are both working overtime, which can cause anxiety and make it uncomfortable to get the sleep you need. These are generally caused by the extra pressure on your circulatory system, and result in swollen purple or blue veins. For relief, get plenty of exercise, relax your legs and avoid wearing tight clothes and shoes. 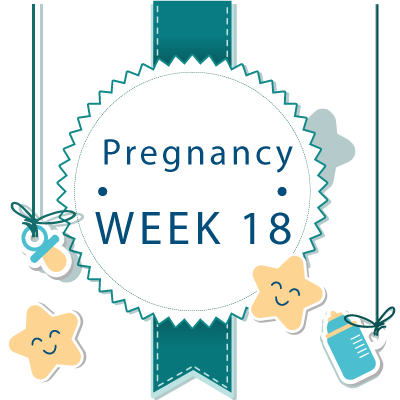 Whether you’re pregnant with a single baby, twins or triplets, you’re probably in week 18 of your pregnancy feeling your baby’s little feet kicking, and good news is that these sensations are going to get stronger in the upcoming weeks! This is definitely not a symptom going to be moms expect to experience during pregnancy, but applying an ice pack can help stop the bleeding. This is a symptom that can persist all through your pregnancy, and best solution for it is to avoid any foods with a flame besides it such as that chili burrito with extra jalapeños. Your belly when you’re 18 weeks pregnant is growing rapidly due to all that stretching and pressure. You may also gain a few extra pounds, and the recommended number is 1 – 2 pounds per week for those women with an average BMI. If you have any concerns with your weight gain, speak to your doctor for the best solution. If you’re not showing when you’re 18 weeks pregnant, everything is probably okay because remember that not all women are born alike. 18th Week Pregnant Ultrasound - What to Expect ? 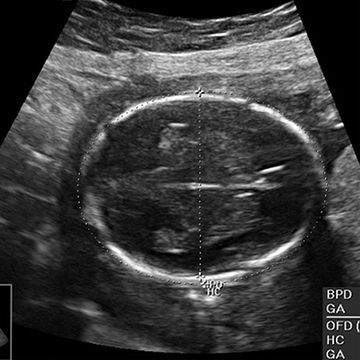 At 18 weeks pregnant, you’re nearing your mid-pregnancy ultrasound aka level-two ultrasound or anatomy scan. This ultrasound is a comprehensive examination of your baby’s entire body, and is where your fetus is measured to ensure there aren’t any issues with its growth. Further, this detailed ultrasound also helps your OB check your baby’s organs to ensure their development is normal and fetal heart rate among others. If you’re curious to know your baby’s gender, your OB or technician at your mid-pregnancy ultrasound will be able to reveal it to you 95 percent of the time. Your 18 week old baby is able to now hear several different sounds right from the comfort of its environment. These include the sound of your heart beating and external sounds such as your voice. Furthermore, your baby has mastered the art of yawning and hiccupping so much so that you may even feel the sensations when they do. 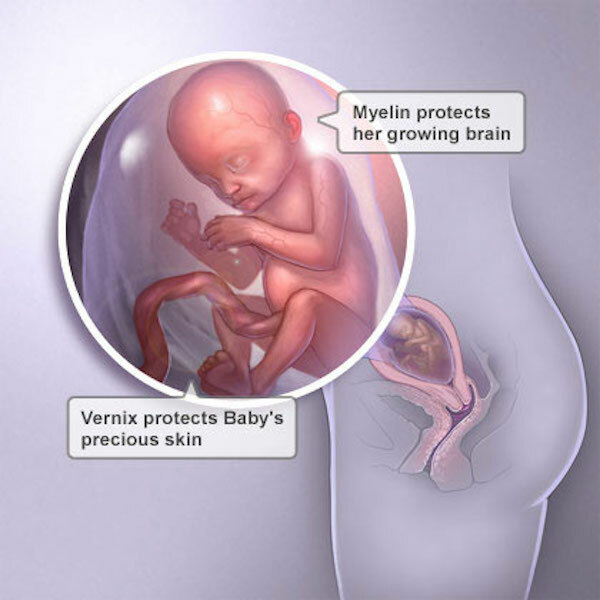 If you do have an 18 week ultrasound, something you won’t see is that its nerves are now covered with a substance called myelin that help form more complex connections within the body. Adding to this, nerves in the brain are now beginning to serve the senses of taste, touch, hearing, smell and sight. 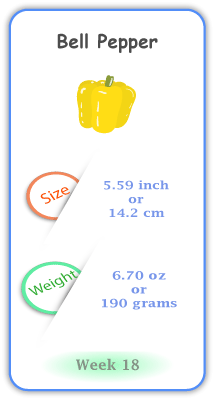 With regards to weight and size, your baby at 18 weeks pregnant weighs approximately 6.70 inches and measures 5.58 inches, and is slowly beginning to wiggle inside of you.